Governmental communal public enterprise «Almaty State Humanitarian-Pedagogical College №2» - state budget institution of secondary professional education is a legal entity,which is subordinate to the Department of Education of Almaty, Ministry of Education and Science of the Republic of Kazahkstan. The founder, in accordance with the current legislation of the Republic of Kazakhstan, is the Akimat of Almaty. 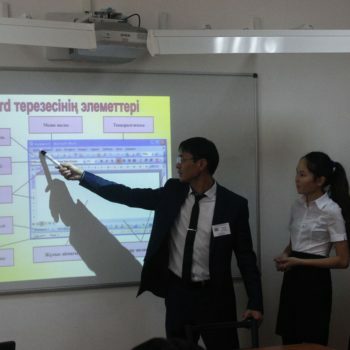 The college carries out educational activity on the basis of the state license AA-5 №0059667 from 09.10.2008, issued by the Department of Economy and Budget Planning of Almaty (validity is unlimited). 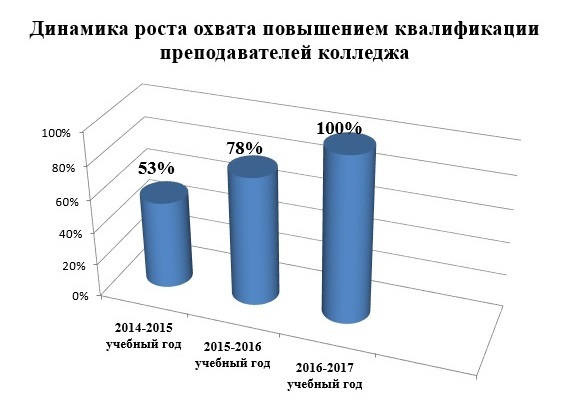 In its activities, the college is guided by the Law "On Education" of the Republic of Kazakhstan, standard operating rules for organizations of technical and vocational education (approved by the Resolution of the Government of the Republic of Kazakhstan dated May 17, 2013 №499), by the orders of the Ministry of Education and Science of the Republic of Kazakhstan, the Charter of the College, the Concept of the Development of the State Humanitarian and Pedagogical College No. 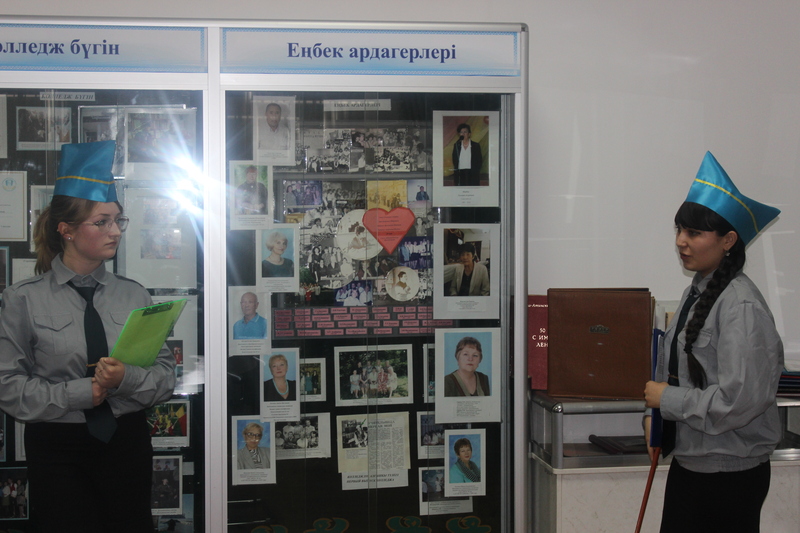 2 by the decisions of the Pedagogical Council of the College. 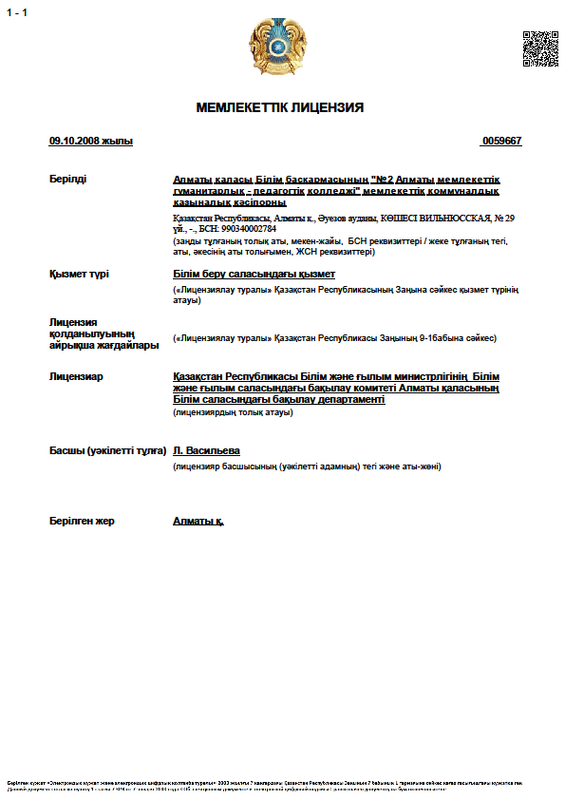 Priority directions for the development of the Pedagogical College for the 2017-2018 academic year. Management of the quality of education by monitoring, diagnosing educational results, implementing a criterial assessment of the achievements of students. Improvement of the scientific and methodological activities of the college, taking into account the results of the activities of the temporary creative group of teachers. Further democratization of the educational process of the college. 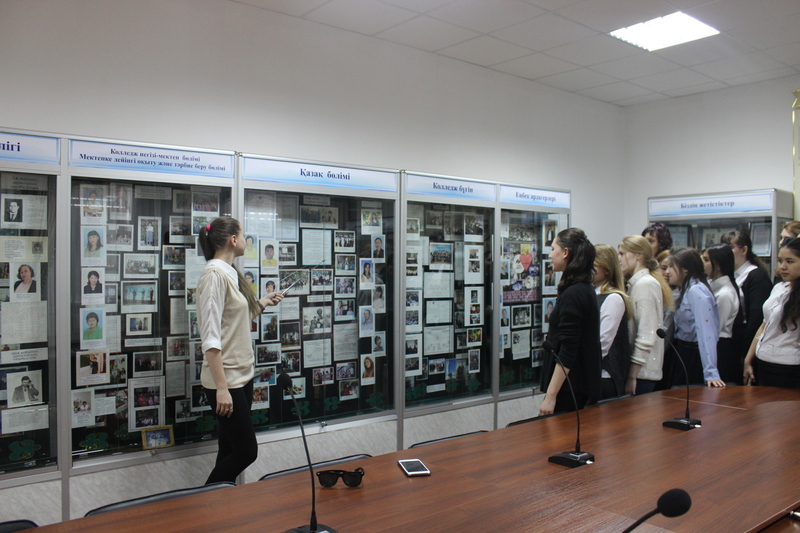 Further informatization of the educational environment of the college. modernization of professional pedagogical education in accordance with the demands of the society and industrial-innovative development of the economy, integration into the world educational space, enhancing the prestige of the profession of a teacher. 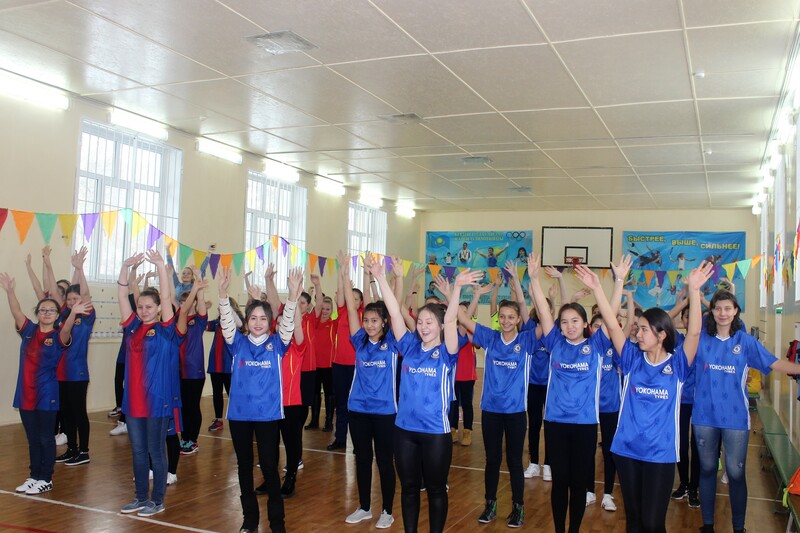 "We are preparing the best teachers for the children of Kazakhstan!" Governmental communal public enterprise «Almaty State Humanitarian-Pedagogical College №2» – state budget institution of secondary professional education is a legal entity,which is subordinate to the Department of Education of Almaty, Ministry of Education and Science of the Republic of Kazahkstan. The founder, in accordance with the current legislation of the Republic of Kazakhstan, is the Akimat of Almaty. 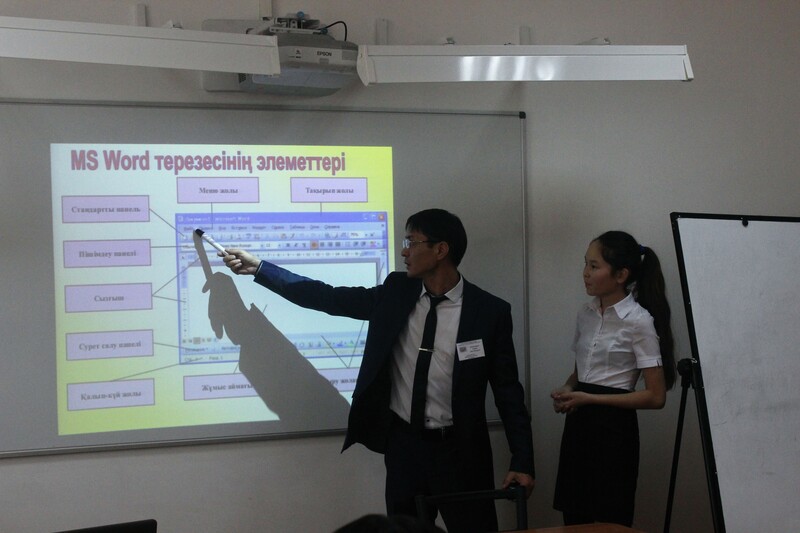 The college carries out educational activity on the basis of the state license AA-5 №0059667 from 09.10.2008, issued by the Department of Economy and Budget Planning of Almaty (validity is unlimited). 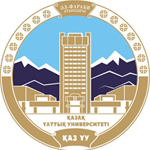 In its activities, the college is guided by the Law “On Education” of the Republic of Kazakhstan, standard operating rules for organizations of technical and vocational education (approved by the Resolution of the Government of the Republic of Kazakhstan dated May 17, 2013 №499), by the orders of the Ministry of Education and Science of the Republic of Kazakhstan, the Charter of the College, the Concept of the Development of the State Humanitarian and Pedagogical College No. 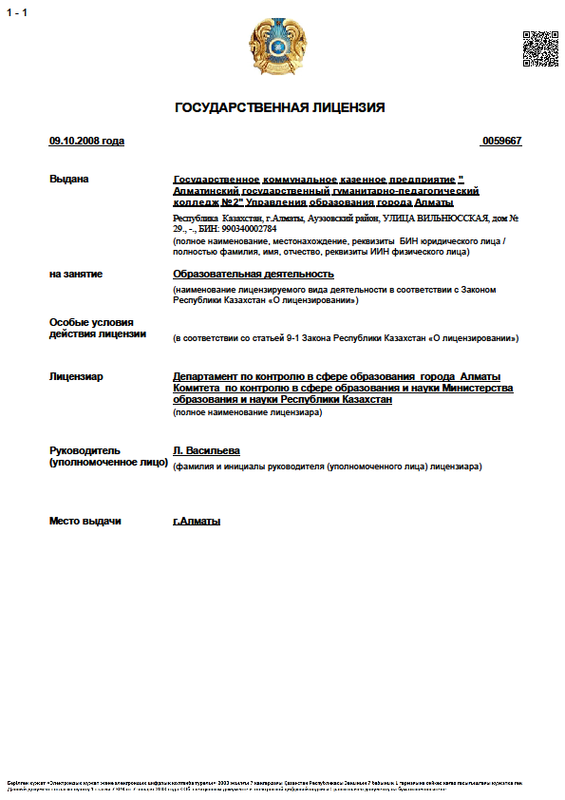 2 by the decisions of the Pedagogical Council of the College. 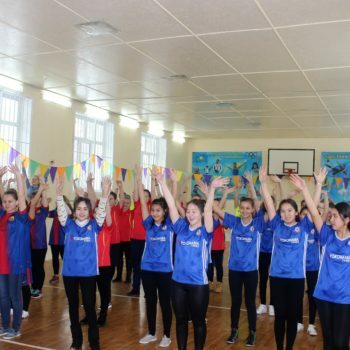 Management of the college is carried out in accordance with the legislation “On Education” of the Republic of Kazakhstan, the Charter and is built on the principles of unity of command and self management. The main goal of the educational work of the college is qualitatively education, creation of conditions for the formation of professional competence, the formation of a civic position, the preparation of a creative thinking competitor. The direct management and control of the educational process, the financial and economic activity is carried out and the current director of the college, based in their work on pedagogical staff and public organizations. The highest body of self-government of the college is the general meeting of the workers collective, which is endowed with the functions to determine the overall strategic and tactical directions of the institution’s activities, solves the most important issues, exercises general management of the college’s activities, performs functions on the rights and interests of students, teachers and parents. A number of advisory bodies are successfully functioning in the college, providing collegiality in solving issues of educational and methodical work: the pedagogical council; the trade union; educational and methodological council; subject-methodological commissions; methodical association of curators of study groups; council of self-government. Competences and powers of self-government bodies are determined by local acts and by the Charter of the college. The functions of each administrative structure are clearly defined, authority is delegated from the head of the college to subject-methodical commissions and departments, teachers and trainees; social partners are involved in management. With the development of public management in the college, the range of issues related to the competence of administration bodies has expanded, the share of decisions by advisory bodies has increased. Rights and duties of administrative and managerial personnel, college staff are defined by job descriptions. The college has a modern material and technical base, which provides all the conditions for education and upbringing purposes. The educational process of the college is carried out by 63 qualified full-time teachers. 47 teachers have the highest and first category of qualification. Honorary title “Excellence in Education” has 6 teachers. 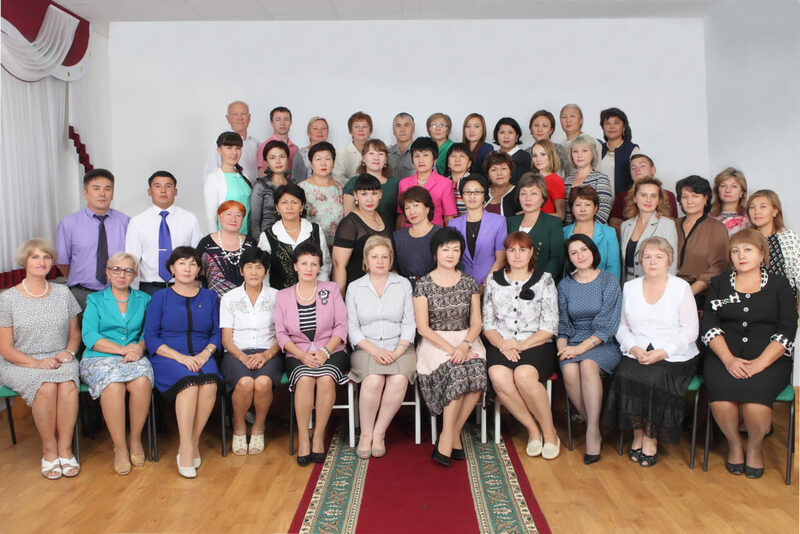 The badge “Honorary Worker of Education of the Republic of Kazakhstan” was awarded to 2 teachers. 1 teacher is a candidate of pedagogical sciences. In college one of the collegiate management bodies, along with the pedagogical council, is the methodical council, which provides methodological support for the educational process and coordinates the work to improve the scientific and methodological potential of the teaching staff. The Council consists of the heads of subject-methodological commissions, methodologists, deputy directors of the college, experienced teachers. – – organization and conduct of seminars, conferences, meetings on improving educational-methodological and scientific-methodological work. An obligatory condition for ensuring a high quality of education is the teacher’s professional development. In the college all conditions for systematic professional development are created. Further training for teachers is provided through refresher courses, participation in local, regional seminars, conferences, other interactive forms, as well as pedagogical intercollege readings, trainings and councils, professional seminars, in the framework of industrial studies. The main forms of professional development are: advanced training courses, visits and analysis of open lessons, training seminars for teachers. 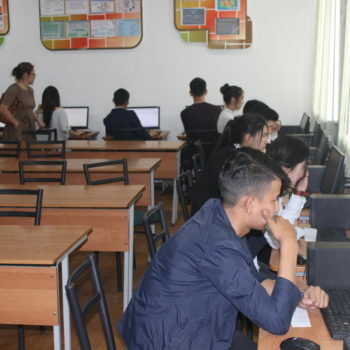 The traditional bases for upgrading the qualifications of the teaching staff of the college are: NJSC ‘Kasipkor holding company”, ‘City scientific and methodological center of new technologies and education”, JC NCIG «Orleu » Almaty c., NNPHEC “Bobek” and other institutions. The college conducts work on the rating evaluation of the professional activities of subject-methodological commissions and teachers. The rating evaluation of the activity of the SMC and the teachers of the college for the year is an important component of the strategic management of the college. It allows you to evaluate and compare the results of the performance of teachers in terms of indicators that characterize the educational, scientific, methodological, practical and educational work. Obtaining the results of the rating assessment allows each teacher to objectively assess their work in the past year, determine the low-cost areas in any area of their activities and, taking this into account, plan their work properly for the next year. Such an assessment positively affects the aspiration of teachers to improve their qualifications, professionalism, the growth of pedagogical skills, and this, in turn, contributes to improving the quality of training future specialists in education and the rankings of the college. Since the foundation of the college there is a museum of college history. It accumulates materials, documents, items reflecting the history of the creation of the college, its development and achievements. 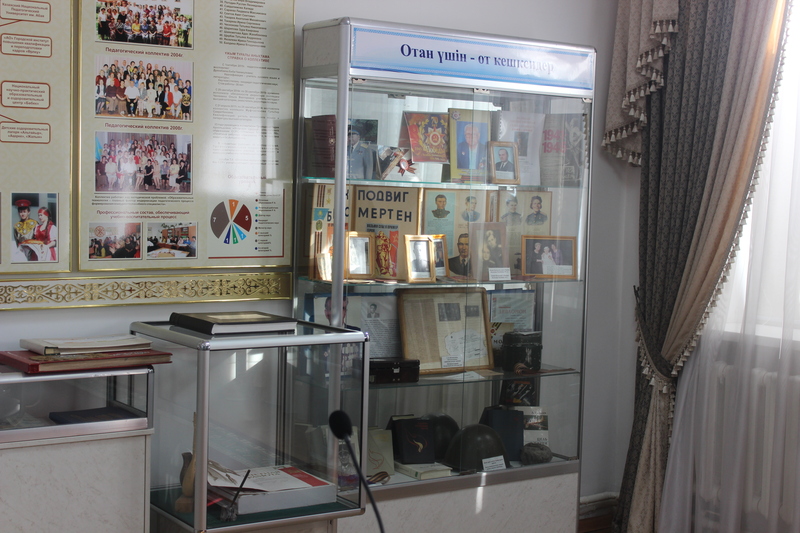 From 1980 to the present day the museum reflects the famous events of the educational institution: the contribution and achievements of managers, teachers, graduates, who played a huge role in the development of the college. The aim of museum is to create conditions for the development of the personality by including it in the manifold activity of the museum. The museum organizes excursions for students for the purpose of patriotic education, professional continuity and for schoolchildren in the vocational guidance work. The library is a structural unit of the college, providing information and bibliographic support for the educational process, educational activities. 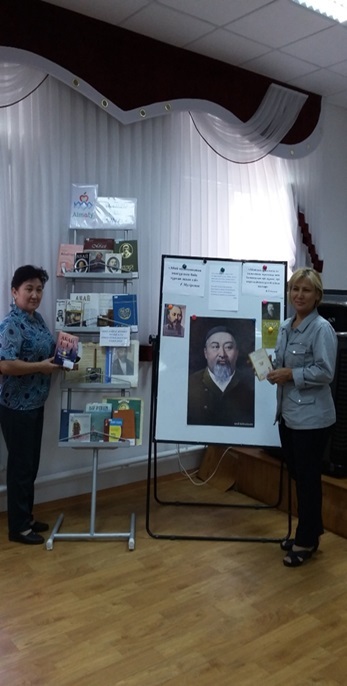 – provision of educational process and self-education through the library-based information and bibliographic service of students from educators. The following functional areas are available for users: open view of educational and reference literature, literature on local lore, fund of periodicals. In the reading room of the library there are 6 computers intended for the work of readers with access to the Internet. The library is provided with copying equipment. The library fund currently has 48377 copies of books. Since 2014, the electronic catalog KABIS is being made. 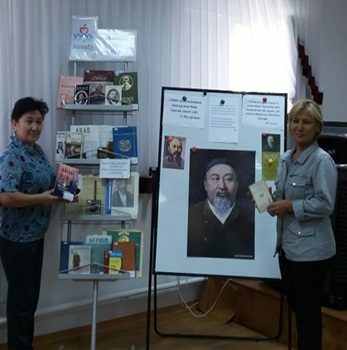 To date, the program introduced 13904 copies of books, of which in Kazakh language 7334 copies, in Russian 6507 copies, in other languages 32 copies. 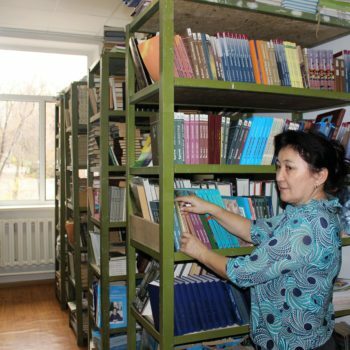 In the academic year of 2017, 2437 copies of books (254 titles) were purchased, for a total of KZT 4067377.21. 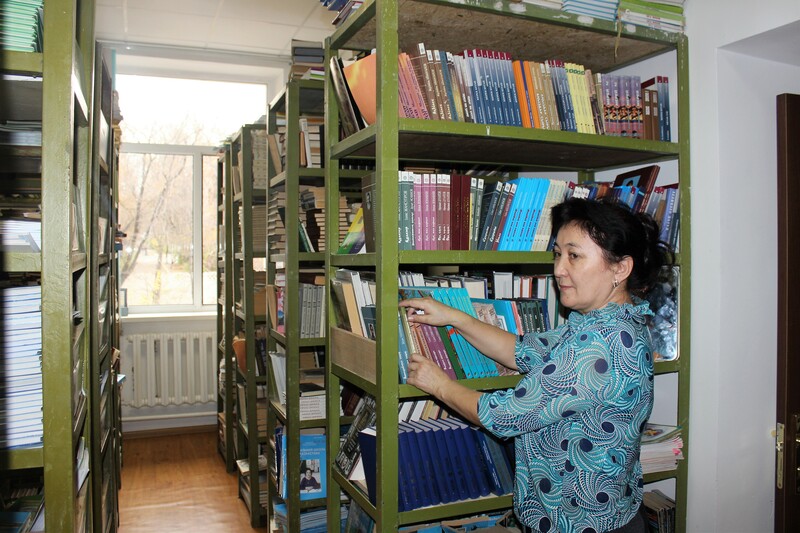 New books are processed: they are registered, recorded in the KSU, stamping was done, barcodes were pasted, pockets were pasted, they were written and entered in the KABIS program. A notebook of textbooks for lessons is being kept. Library users are students, teachers, college staff. 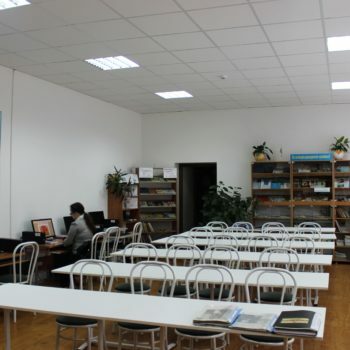 The library’s reading room can be used free of charge for employees of the city’s educational institutions. 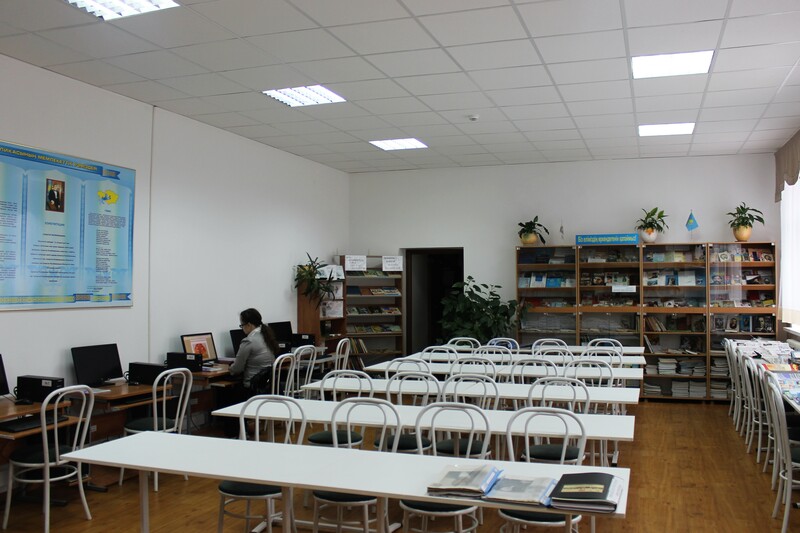 Thus, the library today is a resource base, an information center capable of providing its users with a full range of library services, creating broad access to information resources.